The Paleo diet emphasizes eating foods in their most natural form, particularly animal proteins, fruits and vegetables, and nuts and seeds. Whether you’re thinking of going Paleo in the New Year or you’re simply trying to detox your diet after the holidays, these clean-eating breakfast recipes can get you started. So what’s on the breakfast menu this week? Here are seven days worth of Paleo breakfast ideas that take under 20 minutes to prepare. In just five minutes you can have a full protein and veggie breakfast. 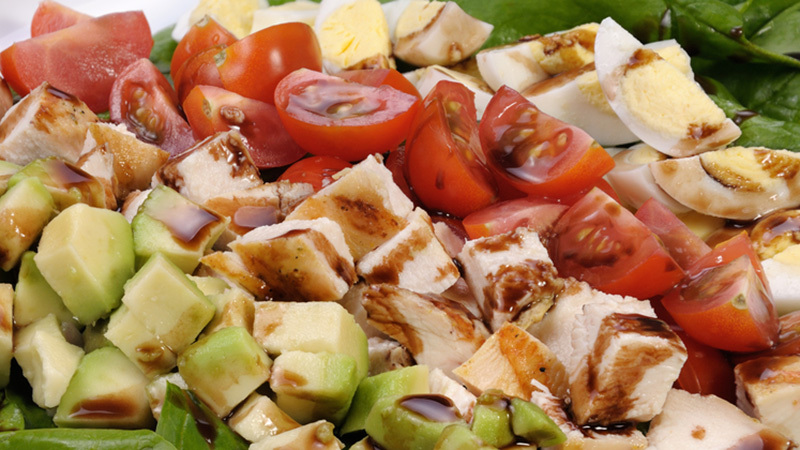 Try a breakfast salad with eggs over easy for a nice filling meal at the start of the day. Melt the butter or oil in a small skillet over medium-high heat. Add both eggs then cover while you prepare the salad. Cut up the veggies how you like them, then add the eggs on top. Season with a combination of salt, pepper, and oil to taste. 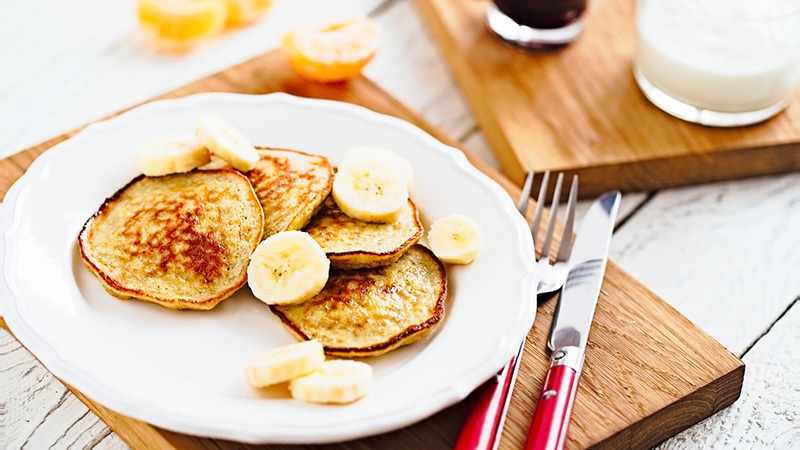 Missing pancakes after switching to Paleo? There’s always a way around the craving. Try something even better (and better for you!) with Banana Nut Paleo Pancakes. Start by mashing the bananas up in a mixing bowl. Add the almond butter and blend together with the eggs. Scoop the mixture in quarter cups onto the griddle or flat pan heated at medium. Add a dash of dark chocolate chips for a sweet taste, and cook for 1-2 minutes on each side. 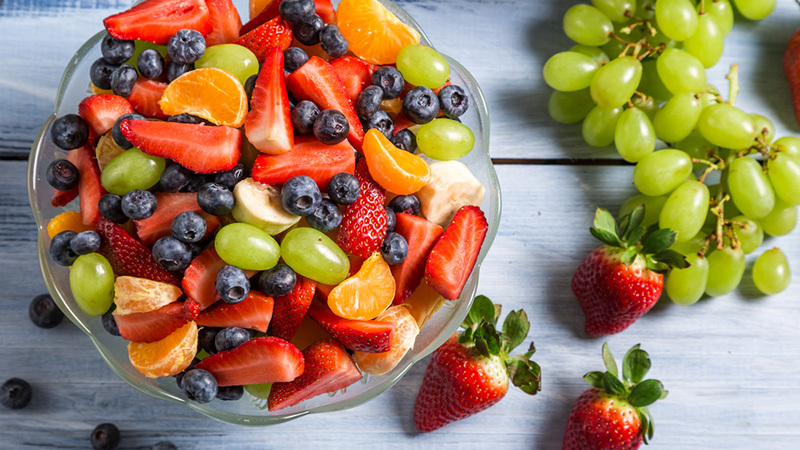 Serve with fresh fruits! Today you can use leftovers to make a quick and easy paleo breakfast. Just take a leftover piece of lemon pepper chicken and get to work on a Chicken, Egg, Avocado ‘n’ Tomato specialty. Cut up the chicken breast into pieced and heat in the toaster oven. Peel the hard boiled egg, and cut up the avocado and tomato. Serve with a cup of coffee for a variety breakfast that makes use of leftovers. 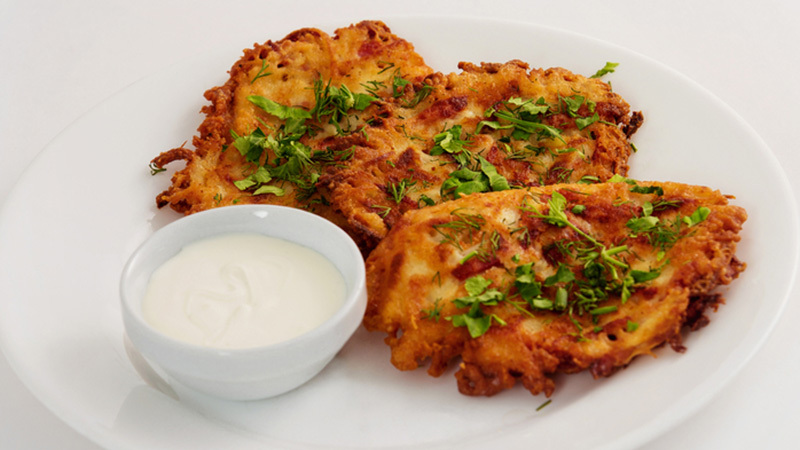 Start by peeling the sweet potatoes, then grate using a cheese grater to make hashbrowns. Toss this with garlic, parsley, pepper, onion powder, lemon pepper, sesame seeds, pepper sauce, salt, and pepper. Heat olive oil in a skillet on medium-high, and add the potato mixture. Cook until tender. 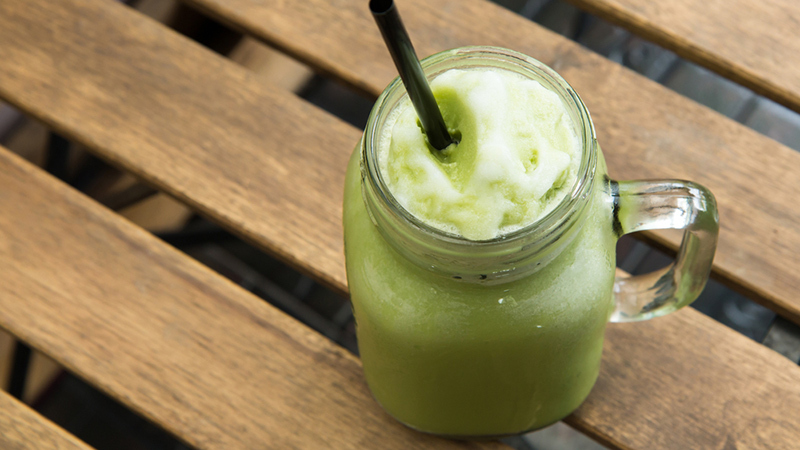 After rinsing all fruits and veggies, add the kale, spinach and coconut milk or juice to a blender or Vitamix. Blend until smooth, then add the blueberries, tangerine/orange, bananas, and flax seeds. Top with honey for taste. Combine peaches, strawberries, and bananas in a bowl, gently toss, and add a dab of honey to taste. Prepare the dressing by wisking together lime juice, pineapple juice, and ground ginger. Add the remaining fruits to the dressing bowl. Pour this over the fruit mixture and toss together gently. Cover and chill before serving. 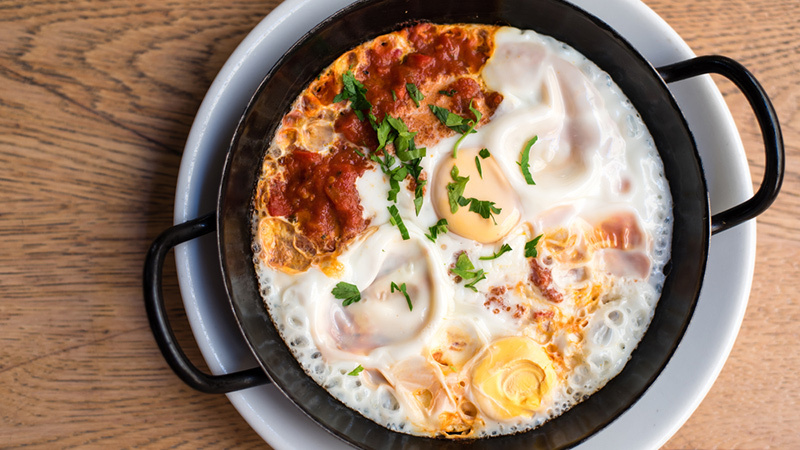 Need an extra protein packed breakfast? Then try Mexican eggs for a high-protein meal. Add olive oil and eggs to a pan on medium-high heat. Then toss in Brussels sprouts, cherry tomatoes (both chopped in half), and any veggies you like into the mix. When the veggies are tender add cilantro and serve with fresh avocado and salsa. 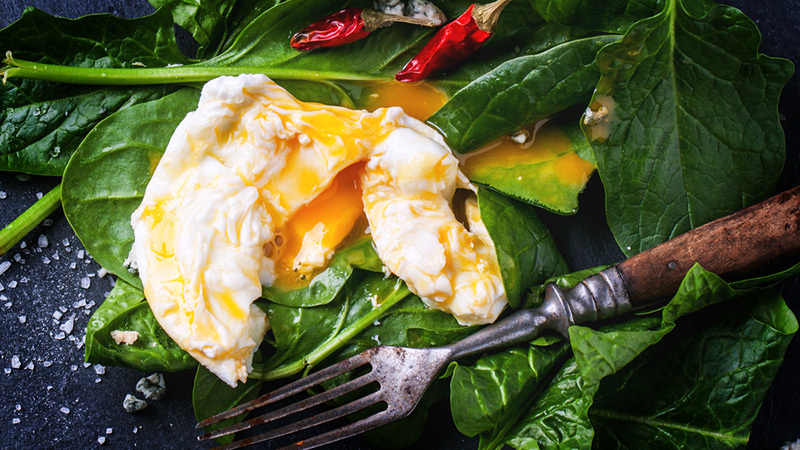 Now that you have breakfast under control, continue onto 5 Great Paleo Dinner Ideas.